The National Open University of Nigeria (NOUN) is now selling admission forms into its Certificate, Diploma, Undergraduates and postgraduate programmes for the 2018/2019 academic session. Follow the procedure outlined below to apply for NOUN Admission. 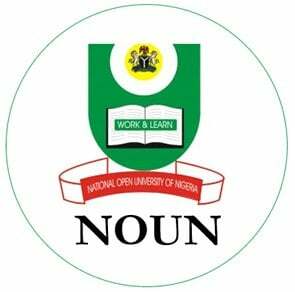 See: NOUN Study Centres in Nigeria and Contact Numbers and NOUN School Fees. Before you proceed, check: List Of Courses Offered by NOUN. Comment Text*Please have bn having difficulty in applying for noun form,How else du i go about it please? Pls sir, I was offered admission on nov.2018 but did not pay school fee that 2018 because I was told by the staffs there that the semester was short. So I was not able to pay then. So I have decided to go and pay it this Feb. 2019; pls will it be possible for them to collect it from me? Can I apply nursing now? Pls when is da last semester result coming out? Good afternoon, please I want to know when noun form 2018/2019 will be out. Am finding difficulty in obtaining noun application form,what can I do? Can I use my advance diploma from the University of Ibadan,grade level upper credit for mass degree programmes. Hello , could a person used jamb result to get admission in your college? because in your school fees you have mentioned jamb regularisation.. Since September 2018 till today, I have been trying to register for admission but the site www. nounonline. net has not been connecting. Pls sir, when is the closing date for the 2018/2019 admission registration closing and when is the next matriculation? Sir, Pls is the Batch 2 admission for 2018/2018 session still on? Is NOUN second section of admission for 2018/2019 still on till today October 31st? Or when is it ending pls? PLEASE,CAN I USED NABTEB OF ADVANCE AND ORDINARY IN TWO SITTING FOR MY PGD ADMISSION?